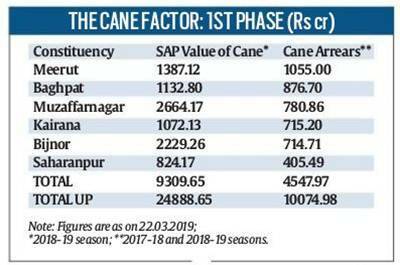 Sugarcane payment dues to farmers in Uttar Pradesh have crossed Rs 10,000 crore — over 45 per cent of this is from six of the eight constituencies scheduled to vote in the first phase of Lok Sabha elections on April 11. 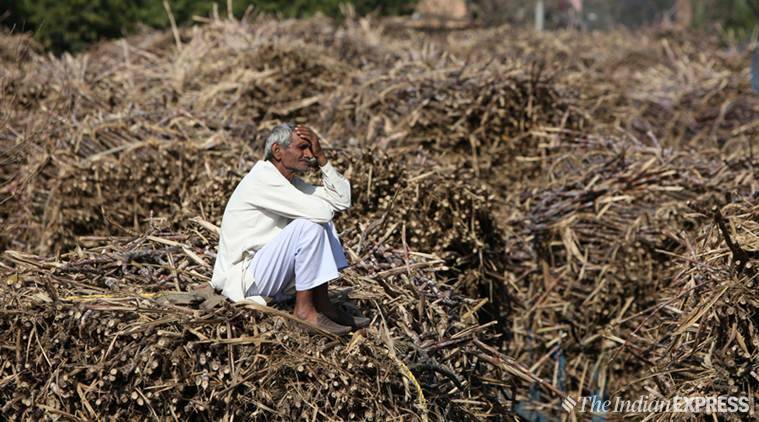 According to data compiled by the Cane Commissioner’s Office in Lucknow, as on March 22, the state’s sugar mills have bought cane worth Rs 24,888.65 crore during the current 2018-19 crushing season (October-September) at the state government’s fixed (“advised”) price of Rs 315 per quintal for normal and Rs 325 per quintal for early-maturing varieties. They were to pay Rs 22,175.21 crore within the stipulated 14-day period of taking cane delivery. But the actual payments have been only Rs 12,339.04 crore, translating into arrears of Rs 9,836.17 crore. Adding the dues of Rs 238.81 crore from the previous 2017-18 season takes the total to Rs 10,074.98 crore. In 2014, however, the BJP was in the Opposition, both at the Centre and state. In 2017, while it ruled at the Centre, the state government was under the Samajwadi Party. But with the party now in power in New Delhi as well as Lucknow, it remains to be seen how much of an anti-incumbency factor the cane arrears would prove to be this time round. 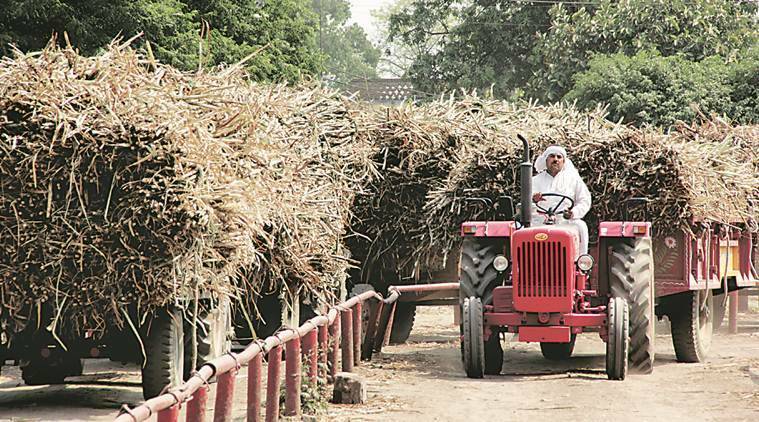 In its 2017 Assembly election manifesto, the BJP had promised that its government would ensure farmers got full payment for their cane within 14 days of sale — a provision already existing in the UP Sugarcane (Regulation of Supply and Purchase) Act of 1953. Sugarcane is grown in nearly 28 lakh hectares area in UP. The average farmer cultivates roughly a hectare of a once-profitable crop, whose state advised price (SAP) has been increased by just Rs 10/ quintal since 2016-17, with mills struggling to pay even that. Apart from the six north-western constituencies, cane growers are also numerically significant in Bulandshahr and Amroha (which vote on April 18); Moradabad, Sambhal, Rampur, Bareilly and Pilibhit (April 23); Kheri, Shahjahanpur and Hardoi (April 29); Sitapur, Bahraich, Gonda and Faizabad (May 6); Shrawasti and Basti (May12); and Kushinagar (May 19). “Cane payments are a bigger problem in western UP, where you also have mills of the most cash-strapped groups such as Simbhaoli Sugars, UK Modi, Mawana, Rana and Bajaj Hindustan. On the other hand, the likes of DCM Shriram, Dalmia Bharat, Balrampur Chini, Triveni Engineering, Dhampur Sugar and Dwarikesh Sugar Industries, that operate mostly in central and eastern UP, have managed to make 80 per cent or more payments. Western UP farmers are also more militant and organised. The BJP is going to face the toughest cane battle there,” said a miller, who did not want to be named. Mills are finding it difficult to pay the SAP for cane, as ex-factory prices of sugar have gone below even the Rs 31/ kg minimum rate fixed by the Centre. “Our production cost is roughly Rs 34 per kg. That includes cost of cane (Rs 29.5, taking the SAP of Rs 325/ quintal plus Rs 10/ quintal of incidental expenses and sugar-to-cane recovery of 11.4 per cent) and conversion charges of Rs 4.5, excluding interest outgo and depreciation. How can we pay farmers when we are losing Rs 3 on every kg of sugar,” said the miller. Whether the state’s ganna kisan will buy that logic, and how much it would influence his voting preference remains to be seen.